At Signal 88 of Rancho Cucamonga, our mobile security services bring a smarter approach to crime deterrence in the Ontario, CA area. We offer mobile security services that are a cost-effective alternative to traditional security staffing and are bolstered by state-of-the-art innovations, like our 88 Edge® platform. Whether you’re protecting a property in Ontario, Rancho Cucamonga, Rialto, Fontana, or Colton, CA, you’ll find the services you need with mobile patrol security from Signal 88 of Rancho Cucamonga. Businesses that choose mobile security services from Signal 88 of Rancho Cucamonga enjoy a number of key benefits over a more traditional approach to security services. Our roving patrols offer more flexibility in terms of services and budget than traditional “dedicated” security teams, helping you create the security program that your property needs without breaking the bank. We offer a level of customization rarely found in the security sector, making it easy to create a plan that works with your property’s budget while also covering your specific security needs. Unlike dedicated on-site security, you won’t need to add a team of full-time security officers to your monthly expenditures. We make sure that our patrols are never predictable by randomizing our patrol schedule each night. This way, trespassers and criminal elements will never know when a patrol could occur. Signal 88 of Rancho Cucamonga vehicles are designed to be highly visible in all conditions, including daylight, evenings, and at night. This helps ensure optimal deterrence. Our officers are always within minutes of your property, and can respond quickly whenever they are needed. Signal 88 of Rancho Cucamonga offers a number of unique advantages when it comes to mobile security services. We are committed to providing every customer with the best in security, safety, and service satisfaction. Our customer-first approach and cutting-edge systems are a large part of why we’re Ontario’s choice for mobile patrol security. 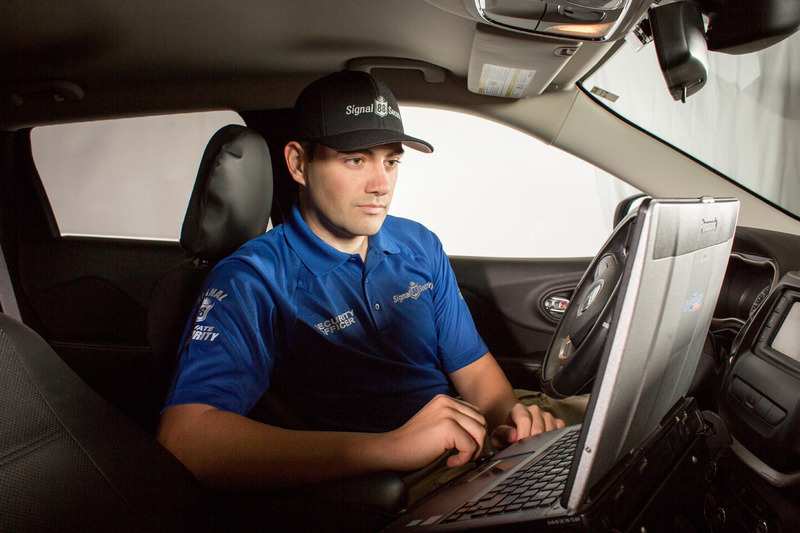 The 88 Edge cloud-based security platform brings mobile patrol services into the digital age. 88 Edge offers property managers in the Ontario area an unparalleled level of insight, access, and control over their security services. You’ll be able to track our officers in real-time, receive instant alerts about occurrences, view cloud-based reports on all activity and incidents, and so much more. As a locally owned and locally operated business, we pride ourselves on providing clients with a more responsive, accountable, and personal level of service than other security companies. We will work with you to create a security services plan that fits with your property’s needs and within your target budget. Call Signal 88 of Rancho Cucamonga at (877) 522-5588 x102 today to book a free mobile security service estimate for your facility in the Ontario area.